Rockdale Tiger Flight is a Group of High School and Jr High students learning the skills to build an airplane. We are building an RV-6 airplane that will carry two people and cruise at 190 mph. RV-6 is an all-aluminum, riveted together airframe, with a light piston engine upfront. The kit comes as pieces of pre-drilled aluminum, hardware, pre-made parts, and raw materials. In the process of construction and assembly, kids go through all the stages typical to all-metal airplane construction, including fabrication of parts, drilling, fitting, riveting, painting, etc. Later on, we will add electrical and control systems, hydraulic system and fuel system. 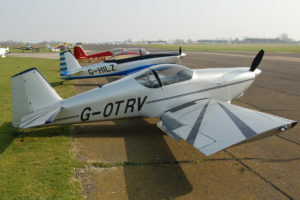 All those tasks are done by children under the guidance of Jimmy Cox, the experienced aircraft owner and builder. You can find out more about the airplane, it’s tech specs, and 3-view drawings, on Van’s website. When the airplane is finished and certified by the FAA, kids will be able to use it to learn to fly and earn their Private Pilot licenses. 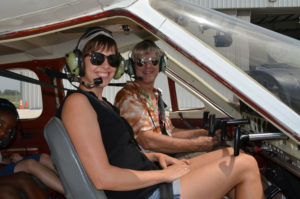 Rockdale Tiger Flight is also engaged in showing the kids what the joy of flying is all about, taking them up for rides in airplanes and a little fun in the air. These rides are available to kids age 7 to 17, for free, all made available by our Volunteer Pilots, as a part of the EAA’s Young Eagles program. 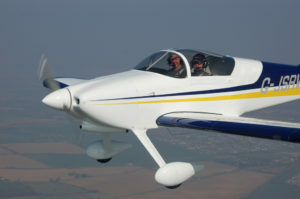 Once a kid has taken a Young Eagle ride, they are eligble for a free online Gound School for a Private Pilots license and other benefits from EAA. Everyone is welcome to Rockdale Tiger Flight group! Come to Rockdale and check us out. Kids and adults are welcome to join us. No formal sign up, just show up Saturday morning at 10 am at the Rockdale airport. 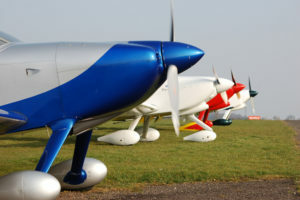 All of this is made possible by Experimental Aircraft Association, the biggest grassroots aviation and near-aviation organization in the United States. All funding of Rockdale Tiger Flight is from donations. Jimmy Cox, a former Emergency Medical Technician, has been passionate about the aviation all his life. Nowadays, he works with fiberglass at Extreme Composites, is restoring his Pulsar, and enjoying life. He has been flying for over 35 years, and to this day loves introducing people to the joy of flight, giving everyone who asks, and offering everyone who doesn’t, rides in his Cessna Cardinal. He is actively participating in EAA’s Young Eagles as a Flight Lead and Young Eagles Coordinator. To some extent, Rockdale Tiger Flight is just an extension of what he loves so much: sharing that special sensation of powered flight. Check him out here, wearing his awesome glasses and a pilot’s grin, in his Cardinal, about to embark with some youngsters on yet another Young Eagles flight!